On this page you have your field gear. 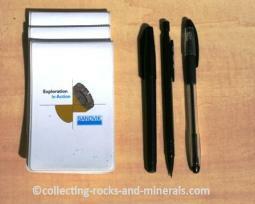 Geological hammer, chisels, hardhat, gloves and goggles, pens and notebooks, sample bags and containers. Also do bring a magnifying lens, a compass, a GPS and a waterproof camera. The most important item of your field equipment is a proper geological hammer. 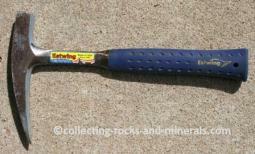 It may seem like a regular hammer will do, but it can be dangerous to use it to hammer rocks. A proper geo hammer is made of a special steel so that it does the proper job safely. 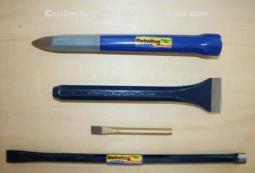 Chisels are used as a further help to get a piece of mineral or rock out of a larger piece of rock. There are a few different types of chisels. Cold chisels, Gadpoint chisels are shorter and thicker. Broad-bladed chisels, also short and thick, are used for splitting rocks are long and thin - perfect to get minerals out of cavities. You do need the safety gear. Protective glasses (goggles) are a must when you're using your geological hammer. Hardhat is best to wear in all times but necessary when you're collecting rocks next to high cliffs where rocks can fall down from above. 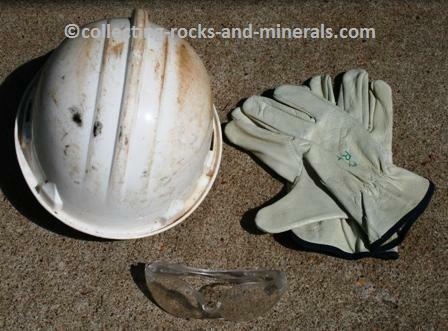 Some rock collecting localities now require a hardhat so you may as well get one anyway. And gloves will protect your hands - if you are new to the hobby you'll be surprised how quickly rocks ruin your nails and the skin of your hands. 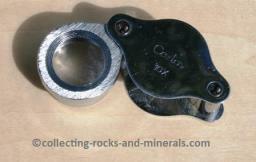 Magnifying lens, aka hand lens, is an excellent tool out in the field as well as once you have taken your rocks back home and start identifying them properly. There are different strengths, but 10x is a good one. You can buy one from that website for just a few dollars. areas with no obvious landmarks where it is easy to get lost). You don't want to get lost. 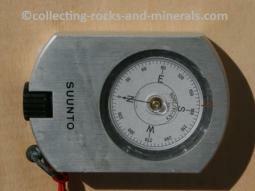 Again, you can choose between different compasses on that same website, and they are NOT expensive! GPS (Global Positioning System) is good if you plan to go back to that remote locality and find the exact spot. Or if you want to have the coordinates of an exact location on the labels in your collection. You need to bring bags and containers too. Bubble wrap is good for weak samples. Make sure each specimen is separated in its own bag or container and put them all into your backpack. Backpack is a good bag to bring because it leaves your hands free for collecting, taking photos etc. 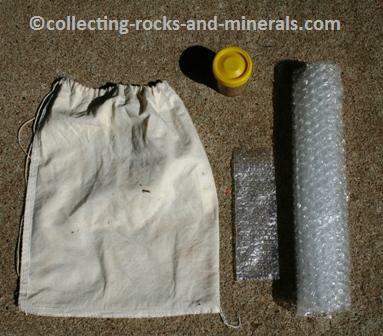 Even better is a real rock collectors bag, which leaves your hands free, and doesn't require that you get it off your back every time you want to use it. As with all your gear, you find the bags on that same website. As you pack your samples into bags, use sticky labels on the piece of rock or bag, and make notes about each sample into your notebook (with the number that is on the sticky label of course). The notes need to be made in the field - you may think you will remember them once home, but you won't, not in detail anyway. Write down where the specimen was found - without location your rock/mineral won't be worth anything! 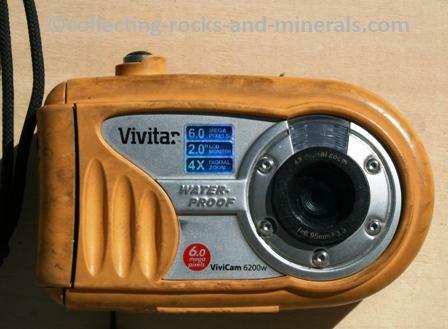 And finally - a camera - an important piece of equipment for anyone working in the field. Take photos about the rock as you first found it. And, take photos about the surroundings. It will help you to remember the place and also give you more information later on if you wonder about something. The ideal camera is a waterproof one, so you don't have to worry if it's raining a bit.